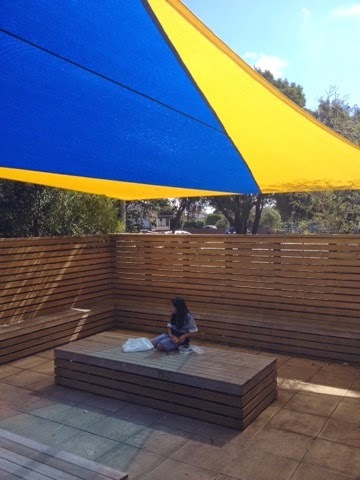 Ako Ngatahi 2017: Our Shade Sail is Back! After some terrible people vandalised our sun sail where we eat our lunch, we were really upset. But now we have a brand new one which looks great! We love eating our lunch here! ya are shade cloth is back!! we can eat in it ya!!!!!!!!!!!!!! !